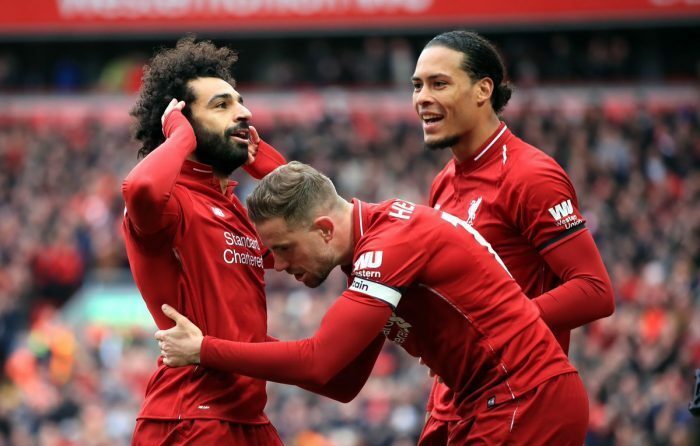 Mohamed Salah scored one of the best goals of the Premier League season as Liverpool overcame Chelsea to retake top spot from Manchester City. There had been few clear chances in the match until Sadio Mane headed home in the 51st minute following a slick move. Two minutes later Anfield erupted again when Salah fired a 25-yard angled effort into the top right corner. Eden Hazard twice went close for the Blues, first with a shot that hit the post and another saved by Alisson.